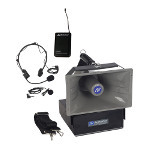 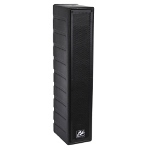 Includes one amplifier module and one line array speaker module. 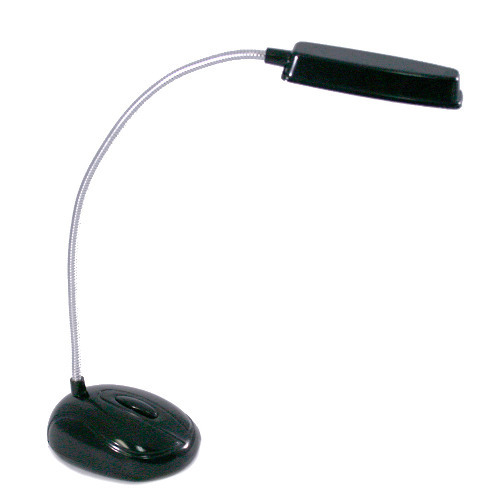 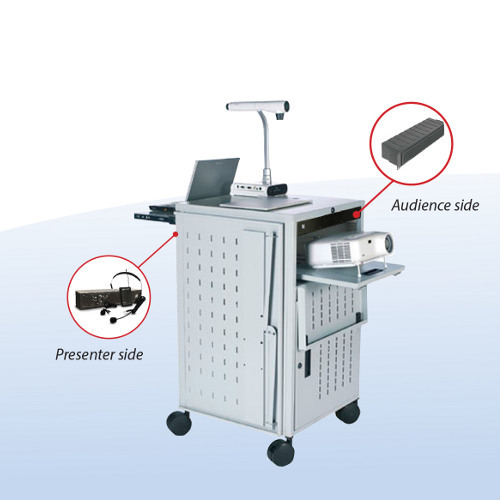 Presenters side module allows instructor easy access to amplifier. 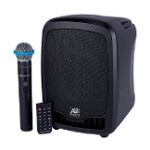 Audience side module speaker is directed to the crowd. 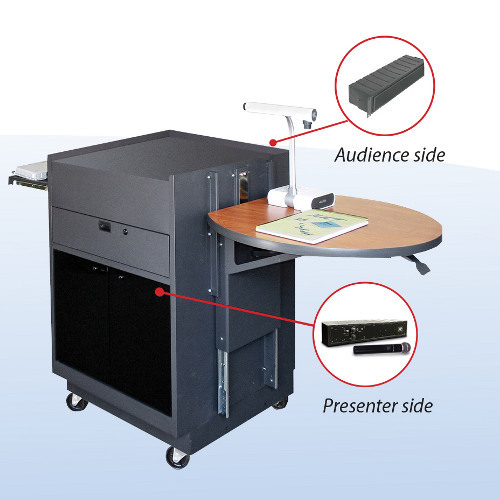 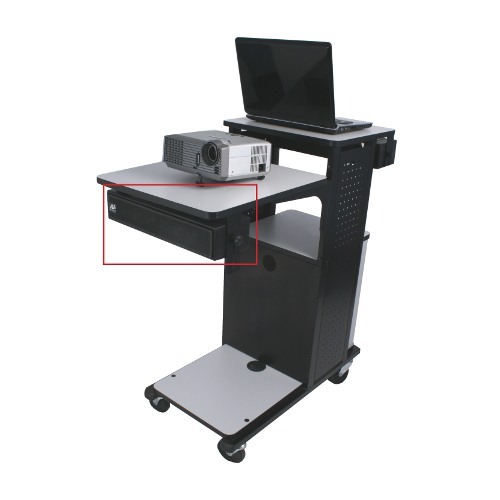 Integrate sound systems to carts in areas that are not easily accessible. 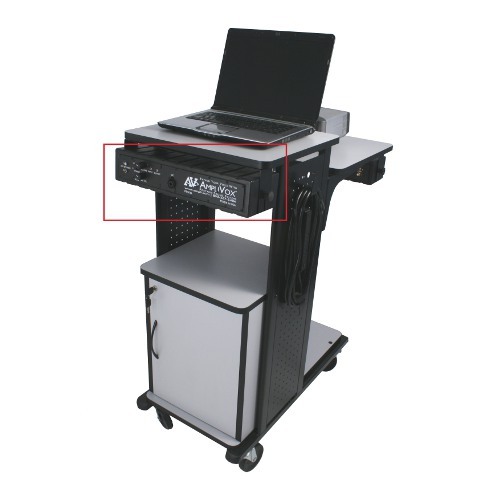 Emtec media cart with line array speaker and wireless amplifier. 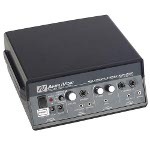 Back side of amplifier module: Speaker Out, DC IN, Line In and Microphone. 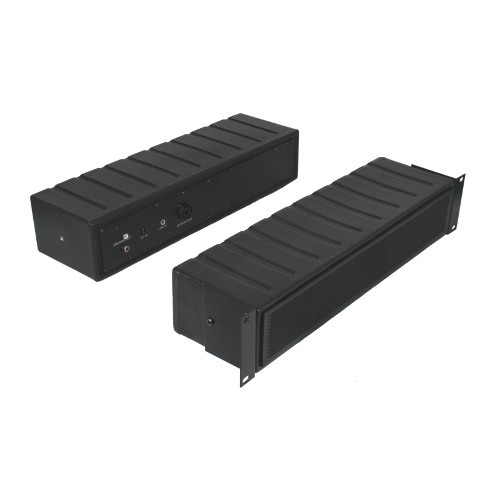 Duo Tandem Line Array Soundbar Unique 2-piece amplifier module and line array speaker design for lecterns and media / presentation carts. 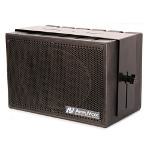 50 Watt amp with 3 external mic inputs, 2 external speaker jacks. 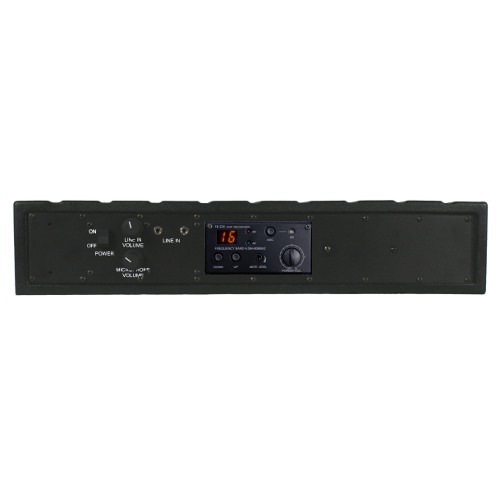 Aux Line In with volume / tone controls, output Line Out.